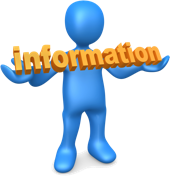 Information is available either as a pdf for downloading, or as a link to the relevant source. The present selection has been carefully chosen and integrated into our Service Area. Amended and new documents are added to our current list as soon as possible. However, if there are any mistakes in our selection, or if any items are out of date, please let us know.